Taste the Real fruit sensation!! Quality fruit products with no added sugars. Totally natural 100% fruit. Dried fruits include, Dried Mango, Dried Pineapple, Dried Red Apple, Dried Green Apple, Dried Pear, Dried Banana, Dried Strawberry, Dried Orange and others. 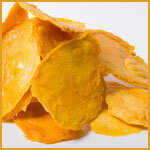 The dried mango and dried apple are also shredded for inclusion in meusli, meusli bars or cooking ingredient. Extended range to ginger products and yoghurt enrobing. Other fruits available on demand. Available in retail packages or bulk wholesale. 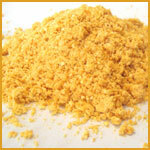 Orange and Lemon powder are an exceptionally zingy taste that can jazz up your cooking and baking. Used commercially in muesli mixes, spice mixes and baking products, the strong citrus flavour can enhance any culinary enthusiast. 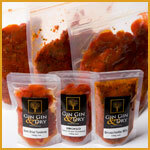 With no additives it is a great way of having zest readily on hand.